This is third, and for the moment final, article in my loosely connected three-part article series exploring video games. In this article, I'm discussing how we define a video game: which we proved over the last two articles is still a relative point of contention. 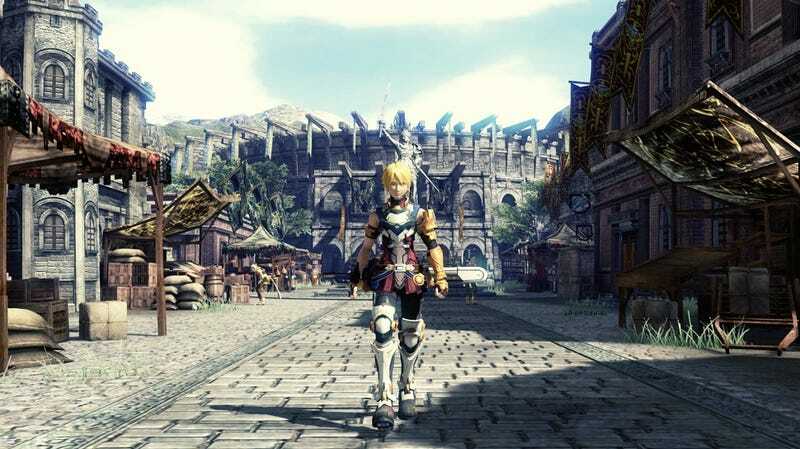 Header image from Star Ocean: The Last Hope. I laid the groundwork for this topic quite succinctly in the previous articles by explaining some of my bias and takes on various aspects of the video game as we know it, so now I'll pull it together. I'm a young gamer by most standards; I'm only twenty years old and my first real exposure to video games came from my family's NES with frustrating games like Duck Hunt (I'll kill that dog one day) and later a Nintendo 64 with games like Star Wars: Shadows of the Empire, Star Wars: Rogue Squadron, and Diddy Kong Racing. Later I'd snag a Playstation 2 for my birthday and I've been a resident of the gaming populace in proper ever since. In my years since my acquisition of that Playstation 2, I've been around the block a few times. I've played games ranging from the venerable Ace Combat series to Star Ocean to Star Wars X-Wing Alliance. I've experienced (what I think) is some of the best gaming has to offer in my short time in this world. In recent times I've seen growing rifts over what exactly a video game entails and what it really is. Games like Heavy Rain have become heavily story-based with QTEs, considered by many to be a terrible gameplay feature. People deride these games and I've seen more than a few people take snipes at it by saying it's not a video game at all. Really though... what is a video game and why should we define it? Some would have you believe it's easy to define a video game, but in reality people almost never can come up with one in words. To me, defining it is very simple. In my "Understanding the Makings of a Video Game Story" article, I define it as the culmination of combining visuals with a story and with gameplay, my three elements of the visual arts. Visuals are a form of feedback that is interpreted by the audience, story is the sequence of events that you receive from the piece, and gameplay is the ability to use an interactive system to affect the story. This is a broad definition, but I like it because it is rather simple and elegant in many ways. I'll keep this short because I wrote heavily on this previously. I think that video games are unprecedented in their ability to immerse the viewer in the experience. Many games have the player represented as a single person in the world. There a couple of approaches to this via first-, second-, and third-person perspectives. In some games we get to customize this character. In some we might project ourselves onto this faceless blank slate they've given us. In almost every case we're encouraged to inject ourselves into the role we're given. We become Shirogane Takeru, we become Commander Shepard, we become Lee Everett. This stands in opposition to TV shows, which might be able to tell a powerful story and they might be able to deliver impressive visuals, but they falter because you have no choice whatsoever. You can never completely immerse yourself in these characters because you aren't looking through a character's eyes, nor are you given any choice in the matter when it comes to these characters. At the end of the day, you're just a ghost looking in on the scene. We get to make choices in games. We get to have an effect on the outcome of these stories. We're the ones that make those decisions. That's what sets it apart from other storytelling mediums and the primary reason that it can make an even more powerful story. What sets games apart are the systems we have in place to allow interaction with the story as we know it. Mainstream titles like Call of Duty have defined gameplay in many circles for some time. They are heavy on the more "fun" aspects of gaming. They allow us to use our alternative world as a way to compete for points. It's a competition to the top and that's what they're known for. The story is generally not affected by your performance in the gameplay aside from a "you failed" in cases where you die. This was notably averted in Treyarch's Black Ops 2, which featured more RPG-like branching story options that weren't abruptly obvious when you first played the game. Other titles like Mass Effect and The Witcher are known for using gameplay as a means to further the story. They have branching narratives and non-linear mission progression that encourage you to build up your characters and explore the world (or galaxy in Mass Effect). A lesser-known sub-genre of video games are visual novels, which are mainly produced in Japan. These particular video games are largely linear but many of them use basic decision points (wherein one chooses one of several options) to change how the story plays out. It's heavily grounded in story and the gameplay elements are minimal to say the least. Some popular franchises that use visual novel elements are Phoenix Wright and Persona. They sport more intensive gameplay systems than other visual novels, but they still use visual novel elements. There's much contention over what a video game entails to this day, both by developers and gamers alike. "Using the term 'interactive movie' to describe Heavy Rain has been a tricky question from the beginning," he continues. "It is in many ways what Heavy Rain is — a visually told story that the player can affect by his actions." But he's quick to distance himself a bit from the term, mostly due to the negative connotation gamers might have. Early "interactive movies" would offer up a series of scenes for players, offering them mostly meaningless choices from time to time. Despite the fact that Heavy Rain offers a very different experience to those "interactive movies" of old, Quantic Dream still had to field negative comments from people ignorant to how to the game is actually experience. To many people, Cage says, there's simply no other way to tell a story but through cut-scenes. To me, this is wrong. I think Heavy Rain and games like it are video games in every sense. They might be story-heavy, but they still are. This feels more like a reaction to the backlash that games like this get from gamers because it has limited gameplay. It seems like he wants to distance himself from the term "video game" because it's bound to cause backlash. Videogames are to stories as Shatner is to music. If that's why you play videogames, you have terrible, terrible taste. Even the best videogame stories are hack garbage by any other mediums standard. It's like saying "I don't care for Steve Buscemi's acting. Just his rugged good looks"
just listen to how it sounds. liking GAMES for their STORYTELLING. it's like saying that you like chess because it has cool pieces. or reading books because they have cool fonts or something. talking about books - have you ever tried reading them? books usually centered around cool storytelling, they have no QTE, no filler missions, nothing that could spoil your experience. Vidoegames are a great and important medium, but you're only going to frustrate yourself for life if you keep hoping they will be better than other mediums at what other mediums are great at. Videogames should focus on being great videogames, better than older videogames and experiment with new forms of videogaming. That's enough of an aesthetic project to fuel generations after generation of genius creativity from videogame creators. If we get some cool stories along the way, that's gravy. And if you're looking for the greatest stories ever told, read Tolstoy, Homer, and Shakespeare and stop jerking yourself off to PS2 fighter jet games convincing yourself they're important. Both these comments take a very high-road by attempting to portray my love of video game storytelling as inferior to the likes of a heavily linearized book. Books are great, but again they are lacking an immersive factor that video games inherently possess. This highly defensive backlash against the notion of a video game being a good storytelling medium probably plays into the difficulty of many people calling visual novels and similar mediums video games. I think the point of contention specifically with VN's is that they're pretty much novels, at which point they're not so much in competition with other games as they are with other novels. That's not so say that VN's are bad, it's just that for me the standard of writing goes way up to justify the linearity of the game. For me, something like a TellTale video game is competing with the likes of Dresden Files or whatever else is on my reading list. This conflict illustrates a battle over where we draw the line in video games. Do we include visual novels, with their limited choices, to be a video game or do we say that we need some more complex dynamic to define how much "gameplay" we need to do so? Describing what a video game "is" will ultimately be a subjective issue. I, personally, love video games for their storytelling potential and I've heard some excellent stories from video games like Bastion, Assassin's Creed, and Ace Combat. Visual novels like G-senjou no Maou and Muv-Luv gave me some of the greatest contemporary narratives in video gaming to date while limiting my choices and interaction with the world. Personally, I draw the line of what "is" a video game at the ability to alter the story with a built-in system of the game, but others won't agree with this line. During the editing process of this article, Mark Serrels of Kotaku Australia released a curious article that may be applicable here: "Are We All A Little Tired of Shooting Things in Face?". Are We All A Little Tired Of Shooting Things In The Face? In it he describes how the traditional shooter appears to be losing steam (although, let's be honest, it isn't the first time such a statement has been made) and how gamers are starting to want more exploration of the worlds. Essentially, it's saying we'll need to accept that gamers want more substance with our entertainment. Basically we want more story or more choice. As we move forward, I think it would be a good idea to be more open when it comes to things like storytelling in video gaming. Deriding games like Beyond: Two Souls and Heavy Rain for being too story-based and not much of a "video game" is ultimately a terrible idea. They're still very much a game and there's a place for them among those of us that appreciate stories with our games. Having a good, fun game like Left 4 Dead to play with friends is all well and good, but there's a place for more story-driven games in the market too that I think gets a raw deal more often than not. That's a reason that I find visual novels far more appealing than most things out of the west as of late, they focus on story more than gameplay. That's just how I like it. In the end, video games are a genre with quite a bit of, so far, locked potential that will gradually be unlocked as they evolve further. I think that more impactful and deep stories are one way that we can make video games evolve further, though that's just one opinion. It's even better if we can make the gameplay match the stories we write, but let's not get ahead of ourselves, that's a lot of work for the developers. Let's just agree that there's a time and place for everything. It's snobbish to turn up your nose at something without trying it, which I've tried to avoid in recent years (a big reason for my actually trying visual novels again). Video games are a great medium for both fun and great contemporary stories that can immerse us in ways other mediums just can't. I'll play with friends for fun, but I'll stay for the story, every time. That's why I'm a gamer and I'm not any less of one. This is the final part in a loosely connected three-part article series that I'm writing on my opinions when it comes to video games and how we define the elements within them. You can read all my articles on Dex's Corner, follow me on twitter@Dexomega, and join us on Talk Amongst Yourselves for more fun. If you're interested, Ani-TAY has you covered for all things Japan.